Solve the cryptogram to find a quote by Margaret Mead. Kudos if you know the name of the streets at the intersection in Doylestown where this sign is located (without googling it). DSWD’H WRR TSG KOKF SWOK. 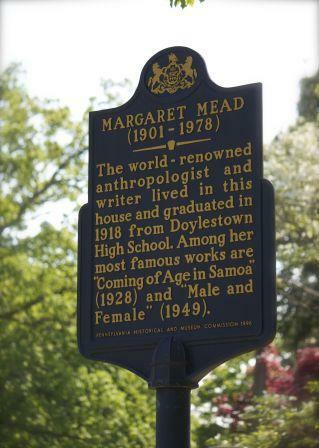 This entry was posted in Around Bucks County, Cryptogram and tagged Bucks County, Pennsylvania, photo, signs. Bookmark the permalink.